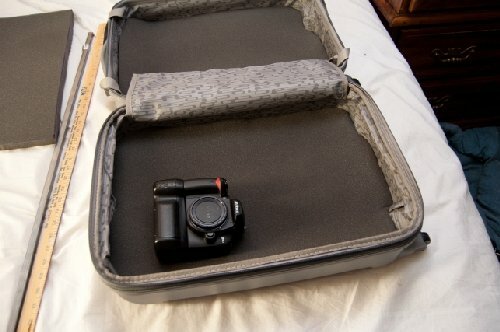 In this post, Kevin A Crider will show you how to make a DIY Hard Camera Case the size of a suitcase. 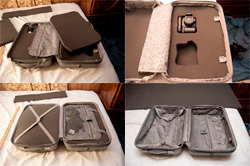 And yes, you can get a pro, feature rich version for $800, but if you walk to the closest garage sale, you can make a camera hard case for $5 and the price of the foam. 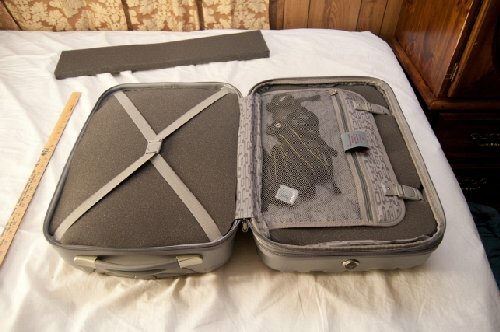 All this project requires is a suitcase that opens in the middle and a sheet of foam. 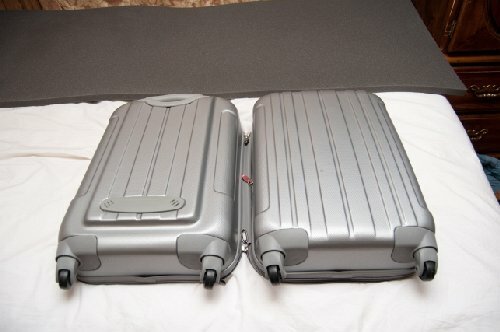 You may use any suit case, but the ones that open in the middle allows us to store equipment on both sides. Here we can see the open case and how the two sides are equally deep. This bag was chosen both for the hard case and for the looks. I avoided black color (as slick as it may be) since black attracts heat. 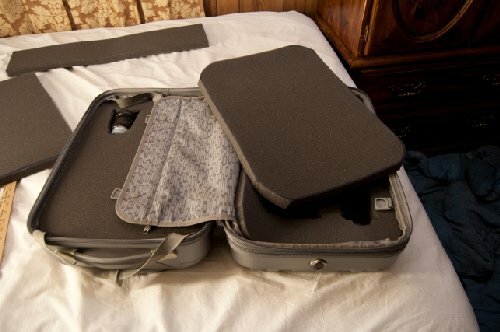 The first step is to cut a piece of foam for each of the suitcase’s sides. Cut the piece slightly bigger and trim the edges as needed. Now cut a second sheet of foam and trace the shapes of your camera, flash, and whatever. You can place the items as you like, just be sure to allow enough foam on all sides to protect it. 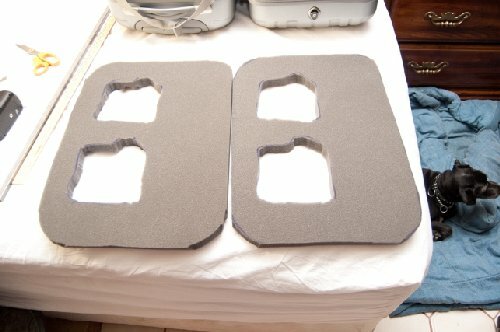 If you chose a thinner type of foam (like me) you’ll need to stack two pieces to fit everything well inside. Make sure that everything fits well. Test fitting is easy and should be done often. The other side is done the same way. Once both sides are done, you’ll want to cut another piece to go on top. 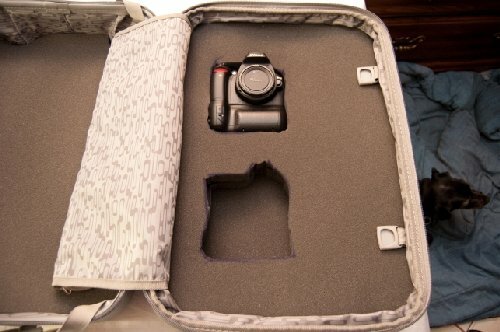 Another reason for choosing this case was the fact that it has way to keep the top piece of foam on both sides (rubber bands on one side, and the zipper bag on the other). This is important when opening the case. This is your case, so do whatever servers your needs. I added some small compartment to hold batteries and a few other things. And there is still room to add another lens and more accessories. 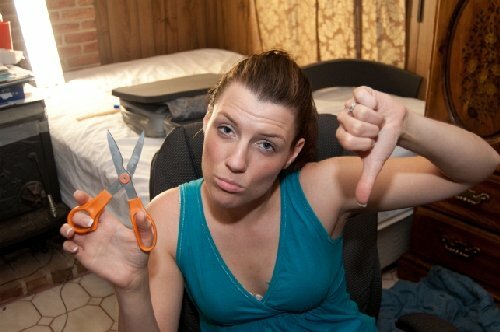 When cutting the foam, scissors will work but they are not the best option. meat cutters actually cut through this foam like butter. 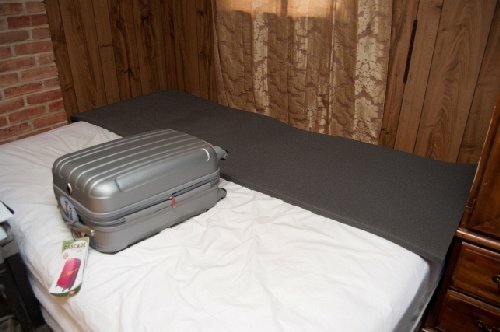 I spent $40 on the suitcase at my local Marshall’s and $20 on the foam at a crafts store. JoAnns and other big craft stores also sell it at much higher cost. I suggest checking with your locally owned fabric store. Or shop on line for foam from foam factories. 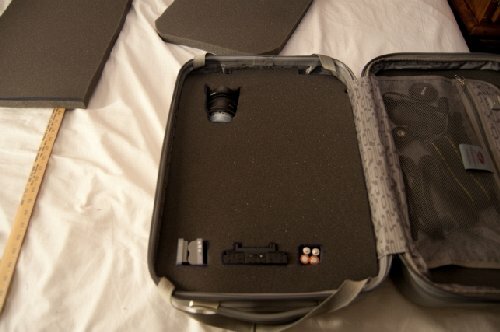 My case was able to hold two bodies with battery grips, 2 lenses, a strobe, extra batteries and all the accessories and manuals for the gear. 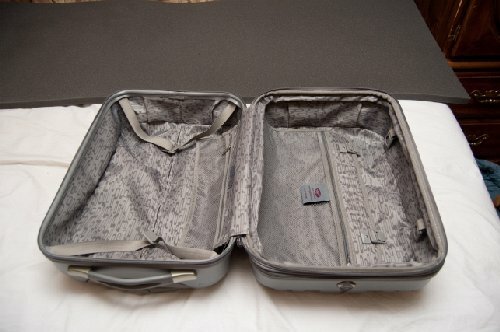 I also have plenty of room to expand and mind you, this was the smallest case in the set. 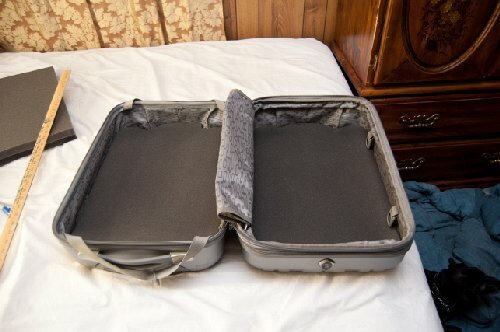 If you have more stuff (and the matching muscle power to carry it) you can always opt for a bigger case. 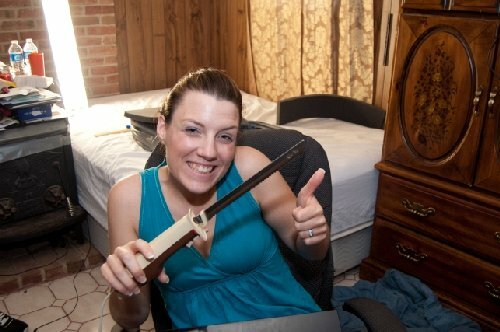 And thanks for my amazing wife for the help and for posing for those pictures. About the Author: Kevin A Crider is freelance website developer and graphic designer based in Pennsylvania. He also takes amazing pictures. You can learn more about him on excellent website.